Soggy Saturday - Salvageable Sunday - "Brown Ocean Effect"
Half Decent Weekend Weather - "Brown Ocean Effect"
"Alberto" did something unusual as it tracked inland from the Gulf of Mexico on Tuesday. It strengthened from subtropical low into a well-developed tropical depression. Tropical systems fizzle after moving inland; starved for moisture they quickly decay. But NASA data shows that from 1979-2008, 45 of 227 tropical storms either gained or maintained strength after making landfall. How is this possible? Scientists have uncovered a "brown ocean" effect, where wet land and high soil moisture mimics oceans, keeping these storms churning well inland. The USA, China and Australia experience this effect, and frequency may be increasing. A dry Friday gives way to .5 to 1 inch of rain Saturday. If you have the option, plan your lake escape for Sunday, when a blue sky lures the mercury into the 70s. Both NOAA and ECMWF guidance suggest 70s and low 80s next week; reasonably comfortable weather for the first week of June. Keep in mind that, historically, the hottest weather of the year comes in mid-July, about 3 weeks after the Summer Solstice. I suspect 2018 may wind up being a memorable scorcher. Saturday Showers. The 00z NAM run prints out roughly .30" rain, but earlier models printed out considerably more. I'd have a plan B for part of the day Saturday - Sunday still looks like the better day for outdoor plans. Downright Reasonable. Highs mostly in the 70s with a few 80s into next week? Scorching heat has receded south, at least for now. Twin Cities ECMWF numbers: WeatherBell. Mid-June: Epicenter of Heat Wave Southern Rockies and Plains. GGFS guidance shows a series of cooler fronts from the Northern Rockies and Plains into the Upper Midwest, helping to take the edge off of building heat. As Hurricane Season Begins, Colorado State Lowers It's Prediction For the Year. Capital Weather Gang has the latest projections from CSU: "With hurricane season beginning June 1, Colorado State University has released an updated seasonal hurricane forecast that drops the number of storms expected. The group now predicts a total of 14 named storms, six hurricanes and two major hurricanes — category 3 or stronger. This forecast is very close to what we consider an average season — 12 named storms, 6.5 hurricanes and two major hurricanes. Although climate models continue to suggest a low chance of an El Niño developing, the Atlantic is cooler than normal. The pattern of sea surface temperature anomalies observed during May is the opposite of what would be associated with an active Atlantic hurricane season, with cool anomalies in the deep tropics and far northern Atlantic and warm anomalies in the subtropics..."
New, Next-Generation NOAA Polar-Orbiting Satellite Is Now Operational. Here's an update from NOAA: "Weather forecasters officially have a new tool in their arsenal, as the first satellite in NOAA’s new Joint Polar Satellite System has passed rigorous testing and is now operational. Launched last November as JPSS-1 and renamed NOAA-20 once it reached orbit, the satellite features the latest and best technology NOAA has ever flown in a polar orbit to capture more precise observations of the world’s atmosphere, land and waters. Data from the satellite’s advanced instruments will help improve the accuracy of 3-to-7 day forecasts. “Improved weather forecasts can save lives, protect property and provide businesses and communities valuable additional time to prepare in advance of dangerous weather events,” said Secretary of Commerce Wilbur Ross..."
Hotter Years Mean Lower Exam Results. A Harvard study of 10 million US secondary students found hot weather negatively impacts their test performance. The BBC reports: "Students taking exams in a summer heat wave might have always complained that they were hampered by the sweltering weather. But this study, from academics at Harvard, the University of California Los Angeles (UCLA) and Georgia State University, claims to have produced the first clear evidence showing that when temperatures go up, school performance goes down. The study, Heat and Learning, suggested that hotter weather made it harder to study in lessons in school and to concentrate on homework out of school..."
The Implications of Hotter Weather on Education. A story at Axios highlights additional research findings from the study referenced above: "...We argue that heat effects account for up to 13 percent of the U.S. racial achievement gap, both because black and Hispanic students live in hotter places than white students and because heat damages minority students’ achievement more than white students’ achievement," the paper notes.The paper adds another dimension to a thorny problem we wrote about recently how expansion of air conditioning worldwide provides a major boost in human well-being but also could make global warming even worse thanks to increased energy demand..."
Experts: "Alarming" Drought Conditions Hit U.S. Southwest. Here's a blurb from an update at The Denver Post: "Rivers and watering holes are drying up, popular mountain recreation spots are closing and water restrictions are in full swing as a persistent drought intensifies its grip on pockets of the American Southwest. Climatologists and other experts on Wednesday provided an update on the situation in the Four Corners region — where Arizona, New Mexico, Colorado and Utah meet. They say the area is among the hardest hit and there’s little relief expected, and even robust summer rains might not be enough to replenish the soil and ease the fire danger. The region is dealing with exceptional drought — the worst category. That has left farmers, ranchers and water planners bracing for a much different situation than just a year ago when only a fraction of the region was experiencing low levels of dryness..."
Map credit: U.S. Drought Monitor. Wrapping Your Mind Around the Concept of a Thousand-Year Rainfall. The Capital Weather Gang provides context: "...A 1,000-year rain event, as its name implies, is exceptionally rare. It signifies just a 0.1 percent chance of such an event happening in any given year. “Or, a better way to think about it is that 99.9 percent of the time, such an event will never happen,” explained Shane Hubbard, a meteorological researcher at University of Wisconsin’s Space Science and Engineering Center. But people often fail to appreciate that when scientists declare that a storm is a 1,000-year, 500-year or 100-year event, it does not mean this extreme rainfall will necessarily happen that infrequently. These return intervals just express probabilities, which lead some to underestimate the risks they signify..."
25+ 500-Year Floods Since 2010. This, according to NOAA. The flood that just hit Ellicott City may wind up being another 500-1000 year flood. Map credit: NOAA and The Washington Post. When it Rains it Pours, and Sewage Hits the Fan. Well that's not good. Climate Central highlights a growing urban problem: extreme floods overwhelming sewage systems, which weren't designed for 21st century rainfall rates: "Record rainstorms across the U.S. in the past year have continued to make national news, causing billions of dollars of flood damage and killing dozens. But what has barely made headlines are that these floods often cause massive overflows of untreated sewage into streams, rivers, bays, canals, and even streets and homes. See the full report. Climate Central has investigated the extent of these sewage overflows. In most cases, we found reports that millions of gallons of untreated sewage were released into streets and waterways. These overflows can have devastating consequences for public health and the environment: they can trigger dangerous outbreaks of waterborne diseases and are often linked to fish kills..."
Mortality in Puerto Rico After Hurricane Maria. Here's an excerpt from The New England Journal of Medicine that suggests a true death toll closer to 5,000: "...From the survey data, we estimated a mortality rate of 14.3 deaths (95% confidence interval [CI], 9.8 to 18.9) per 1000 persons from September 20 through December 31, 2017. This rate yielded a total of 4645 excess deaths during this period (95% CI, 793 to 8498), equivalent to a 62% increase in the mortality rate as compared with the same period in 2016. However, this number is likely to be an underestimate because of survivor bias. The mortality rate remained high through the end of December 2017, and one third of the deaths were attributed to delayed or interrupted health care. Hurricane-related migration was substantial..."
NOAA Studies "Serious Problem" With New GOES Weather Satellite. Not good - hopefully engineers can get this resolved. CBS News reports: "Engineers are studying a significant cooling problem with the primary imaging system aboard the recently launched GOES-17 weather satellite that is limiting infrared observations critical to forecasting, officials said Wednesday. "This is a serious problem," said Steve Volz, assistant administrator of the National Oceanic and Atmospheric Administration's satellite and information service. "This is the premier Earth-pointing instrument on the GOES platform, and 16 channels, of which 13 are infrared or near-infrared, are important elements of our observing requirements. If they are not functioning fully, it is a loss. It is a performance issue we have to address..."
Pollution Crisis: Single-Use Straws May Be Banned Across Europe. Fortune reports: "The European Union’s executive branch has proposed an outright ban on a host of single-use plastic products, including straws and plates, in order to combat the growing plastic waste crisis. With plastics making up the vast majority of trash in our oceans and contaminating our drinking water, the European Commission on Monday proposed a new directive to mitigate the problem. It would ban single-use plastic items in cases where there are readily available, cheap alternatives made from more sustainable materials. The ban would take in plastic straws, plates, cutlery, cotton buds, drink stirrers and sticks for balloons—as well as single-use drinks containers, unless their caps and lids remain attached..."
How Netflix is Forcing an Overhaul of Television's Old Guard, and What the Government Can Do About It. The Ringer has an interesting story about disruption in the TV world; here's a clip: "...The one combo that might truly challenge Netflix’s dominance is a tie-up between Disney and Time Warner. With HBOGo and HBONow, Time Warner has created the most streamlined and successful standalone streaming apps of any cable network. Disney is attempting the same in the sports world with its new ESPN+ app. Between them, the two companies control a huge amount of the culture-consuming content that dominates the lives of internet denizens—Star Wars, Game of Thrones, Pixar, Adult Swim, CNN, Westworld. The combined company would also own all the television rights to the NBA and could continue to expand our debilitating dependence on superheroes via the Marvel-DC Combined Cinematic Universe. Every Twitter trending topic would be a promotion for a Disney–Time Warner property..."
Columbia and Yale Scientists Just Found the Spiritual Part of our Brains. Quartz explains: "...In a new study, published in Cerebral Cortex (paywall) on May 29, neuroscientists explain how they generated “personally relevant” spiritual experiences in a diverse group of subjects and scanned their brains while these experiences were happening. The results indicate that there is a “neurobiological home” for spirituality. When we feel a sense of connection with something greater than the self—whether transcendence involves communion with God, nature, or humanity—a certain part of the brain appears to activate. The study suggests that there is universal, cognitive basis for spirituality, as opposed to a cultural grounding for such states. This new discovery, researchers say, could help improve mental health treatment down the line..."
Photo credit: "You don't have to be religious to have spiritual experiences." (Reuters/Lucy Nicholson). This Televangelist is Asking Followers to Buy Him a $54 Million Private Jet. I wonder what Jesus would really say about this? CNN.com has the mind-boggling story: "A prosperity gospel televangelist from Louisiana says Jesus has asked him to buy a new private jet. And wouldn't you know it, Jesus has real nice taste in planes. Jesse Duplantis, leader of Jesse Duplantis Ministries and the owner of three other private jets, is asking his followers to chip in so his ministry can purchase a brand new Dassault Falcon 7X, which runs about $54 million. In a video recently published on his website, Duplantis says the planes get him closer to the Lord -- both literally and figuratively -- and he had a divine conversation in which Jesus asked for the new aircraft by name..."
A Word of Warning Before Using Hotel Pools This Summer. Well, there goes my appetite. Bring Me The News explains why you might want to think twice: "...But before dipping your toe into a hotel or community pool, there are some stats you should be aware of. 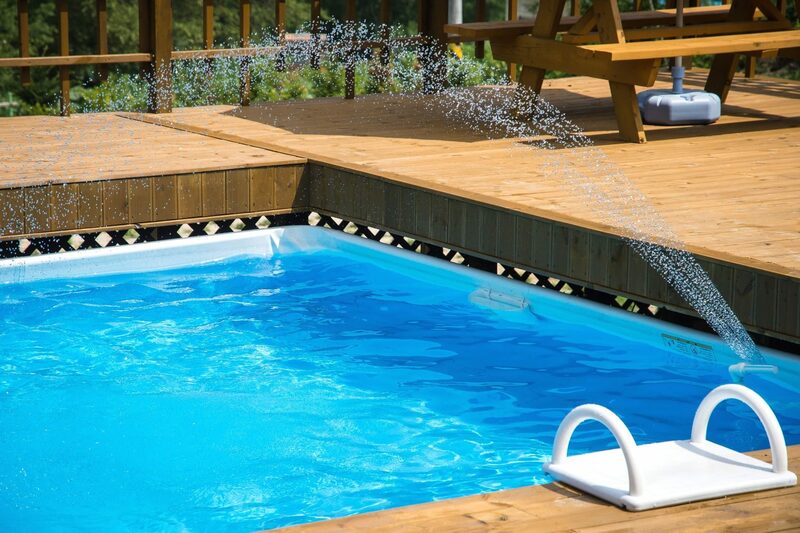 The Centers for Disease Control revealed earlier this month that in a study of nearly 500 outbreaks of water-borne diseases reported between 2000 and 2014, a third of them came from hotel pools and hot tubs. These outbreaks in turn led to more than 27,000 people being infected by various water-borne diseases, the most common of which is the particularly nasty Cryptosporidium bug – known as "crypto." Crypto is contracted in a particularly gross way, because it involves someone sick with the parasite leaking diarrhea into the water, which other swimmers then swallow..."
86 F. maximum temperature in the Twin Cities on Thursday. 74 F. average high on May 31. 75 F. high on May 31, 2017. June 1, 1993: St. Cloud records its latest ever freezing temperature, with a record low of 32. Photo credit: Fidel L Soto. In Case You Missed It: Climate Change Impacts on Birds We Love. Here's an excerpt from Yale Climate Connections: "...With birds finely tuned to their living conditions – landscape, vegetation, weather, food, water – we know that a warming globe will add to the problems they already face. 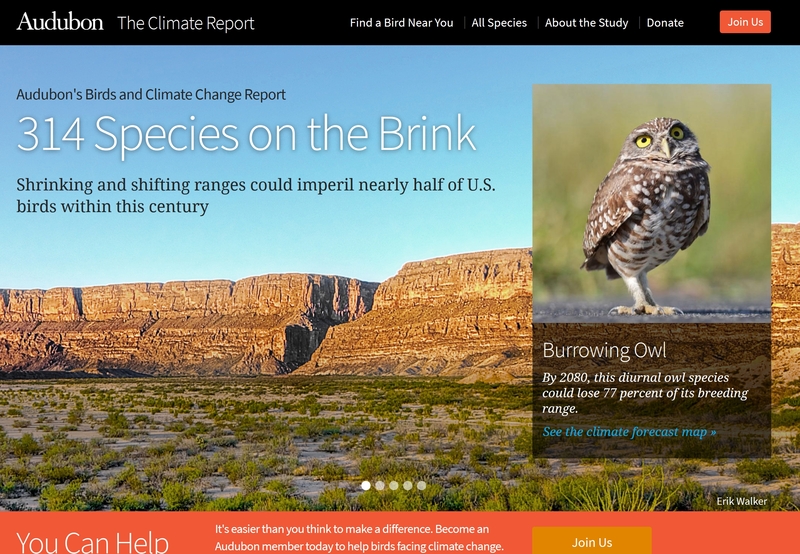 The Audubon Society’s “Birds and Climate Report” website offers a useful overview. At the site’s core: its maps of changing climate ranges for 588 North American species, over half of them heading for trouble. (Search by flyway, state, or bird name). Its “report at a glance” summary and relatively technical but readable article about the underlying study are well worthwhile, as are the linked articles by Michele Nijhuis (overview; prairie potholes) and Carl Safina (seabirds)..."
Doom and Gloom: The Role of the Media in Public Disengagement on Climate Change. Here's an excerpt of a post from Harvard Kennedy School Shorenstein Center: "...The Arctic is warming two to three times faster than anywhere else on the planet. NOAA’s 2017 Arctic Report Card states: “The unprecedented rate and global reach of change disproportionally affect the people of northern communities, further pressing the need to prepare for and adapt to the new Arctic. For Americans, the “Arctic” is Alaska, a state that is among the first to experience the severe effects of a warming climate, where snow and sea ice have been declining so rapidly that coastal villages have no buffer from fall and winter storms. This is compounded by melting permafrost that has accelerated erosion and foundation problems for structures and entire communities. While it’s important for the public to see and understand this threat, it is also important for the public to see and understand how people are responding..."
Climate Change and Rapidly Intensifying Hurricanes. An analysis at WXshift.com caught my eye; here's an excerpt: "...We consulted with Phil Klotzbach of the Colorado State Tropical Meteorology Project to examine the historic number of Atlantic named storms that have undergone rapid intensification and to acknowledge limitations in detection. As a result, we are using two starting points for this week’s analysis. The first is 1950, a few years after reconnaissance aircraft analyses began. The second is 1980, a year after regular satellite analyses were available. These data show the active period of the 1950s and 1960s, then a lull, followed by a bigger spike, with the influence of the Atlantic Multidecadal Oscillation (AMO) driving the lower values in the 1970s and 1980s. In a further analysis, one study earlier this year found an increase in rapid intensification from 1986-2015 tied to warming water east of the Caribbean Sea. While the study suggests the AMO is the primary influence, there has also been a net ocean warming on top of that cycle..."
Insurers Will Be Hard Hit by Climate Change, But They're Not Investing in the Low-Carbon Economy. A post at Forbes caught my eye: "The insurance sector is on the front line of the battle against climate change - it is having to pay out more to policyholders as extreme weather events such as flooding, droughts, storms and heatwaves become more frequent and more severe. At the same time, as some of the biggest investors in the world, insurance companies also face significant losses as climate change hits the companies they invest in. “Climate change poses risks for insurance companies, so do responses to it by markets, businesses, consumers and governments,” says Dave Jones, California’s Insurance Commissioner, in a new report by the Asset Owners Disclosure Project (AODP), which sees itself as the world’s benchmark of climate leadership in the investment system..."
Photo credit: "A man walks through flood waters in Hoboken, New Jersey, after Hurricane Sandy. 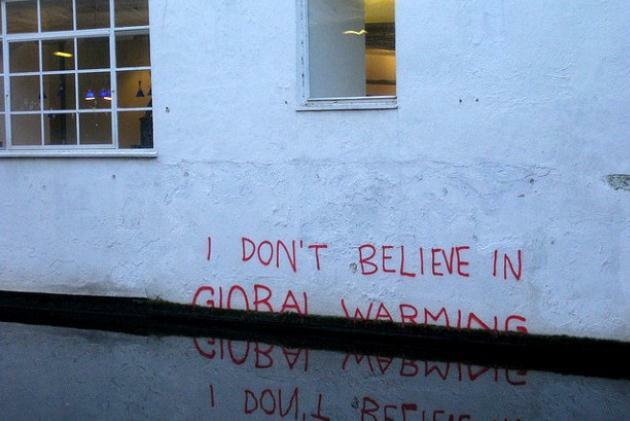 Flooding will become much more severe as climate change intensifies, increasing payouts by insurers." Photographer: Emile Wamsteker/Bloomberg. Does Global Warming Make Tropical Cyclones Stronger? The short answer appears to be yes. Here's an excerpt of an answer at RealClimate: "...Nevertheless, observational data support the expectation from models that the strongest storms are getting stronger. We focus here on the period from 1979, because this is the period covered by geostationary satellite data (thus no cyclones went unobserved) and also the period over which three quarters of global warming has occurred. These data show an increase in the strongest tropical storms in most ocean basins (Kossin et al. 2013). However, these data are not homogeneous but are estimated from a variety of satellite, and air- and ground-based instruments whose capabilities have improved over time. The homogenization of these data by Kossin et al. (2013), which is generally recognized as very careful, reduces the trends, but does not eliminate them. The strongest increase can be found in the North Atlantic (which is more than 99% significant) where the trend has likely been boosted by the decrease in sulfate aerosols over this period. One consequence of this increase is that in most major tropical cyclone regions, the storms with the highest wind speeds on record have been observed in recent years (see Fig. 1 based on reanalysis by Velden et al. 2017). The strongest globally was Patricia (2015), which topped the previous record holder Haiyan (2013)..."
Pentagon Prepares for Climate Change. Here's an excerpt of a post at Iowa City's Press-Citizen: "Four months ago the Pentagon, not for the first time, raised the alarm that climate change must be confronted. The Department of Defense’s position has been certain for years. As Secretary James Mattis has stated, “Climate change can be a drive of instability and the Department of Defense must pay attention.” The Military Command has been on watch at the urging of Congress for over a decade. If the Pentagon is alarmed, it is time all of us recognize that while we may differ on causes, the overwhelming scientific consensus is that climate change is real. Forget the divides — conservative, liberal, libertarian or simply contrarian — the common good demands a strong defense. On a tour for journalists in early 2016 at the Norfolk Naval Station, Capt. Dean VanderLey made the DOD position clear: “We talk about sea-level rise. You can measure it.” The Pentagon avoids the politics, the divides; it cites a clear and present danger..." (File photo: AP). "Sea, Ice, Snow, It's All Changing": Inuit Culture Struggles With Warming World. The Guardian has the post: "...Cunsolo is one of leading researchers into the links between climate change and mental health. She says the rapid changes happening in coastal Labrador are causing the Inuit to feel increased feelings of anxiety, depression and grief. They sense something is being lost, she said. “These changes are disrupting hundreds of years of knowledge and wisdom and connection to the land. That’s a scary thing for humanity,” Cunsolo said. Many of the Inuit in Rigolet are just a generation removed from the government relocation programs of the 1960s, when families were forced to abandon their nomadic ways and settle in larger communities. They say it’s in their blood to travel out into the wilderness..."
E-Mails Show Climate Change Skeptics Tout "Winning" Under Trump. Here's the intro to a story at TheHill: "A conservative think tank that seeks to battle global warming "alarmism" celebrated during President Trump's first year in office, according to correspondence obtained by a Freedom of Information Act request. Joe Bast, the co-founder of the Illinois-based Heartland Institute, wrote to allies in January that 2017 had been "a great year for climate realists" due to policies pursued by the Trump administration. The email referred to the White House's efforts to direct federal agencies to remove references to climate change from official documents. "This is what victory looks like," he wrote in October when noting that "global warming" wasn't mentioned in the EPA's strategic plan for upcoming years..."
The Best Place to Live Domestically as the World Warms. A story at The Good Men Project caught my eye; here's a clip: "...ND-Gain researchers stress that residents of just about any developed country (including the U.S., Canada, Australia, New Zealand, Russia, China and most of Europe) will likely be fine staying put given the fact that better-heeled governments are already gearing up to adapt to warmer temperatures, more intense storms, rising sea levels and other expected changes. On the flip side, the worst places to be may be mid-latitude developing countries, including most of Africa and South Asia. The countries ND-GAIN predicts will be hardest hit by climate change include Chad, Eritrea, Burundi, the Democratic Republic of Congo, the Central African Republic, Sudan, Niger, Haiti, Afghanistan and Guinie Bissau. Americans looking for the best place to live domestically as the world warms should also look north. Alaska and the Pacific Northwest, both blessed with plenty of water and plenty of terrain well above sea level, are generally acknowledged to be the best parts of the country to be in under a new climate regime..."